The release of Anthem, BioWare's answer to Bungie's beleaguered Destiny, is being pushed back to 2019. Publisher EA has released a statement suggesting the game is deep into development and the delay is due to the as-yet-untitled Battlefront this holiday season. "We've chosen to launch Anthem in [tax year] Q4 and the date is really determined by portfolio of balancing consideration not for product readiness reasons. It's tracking well on its development milestones. We are really confident of its ship date," said EA boss Andrew Wilson during a company investors call. Evidently, EA doesn't want to repeat the mistake of releasing two tentpole franchises within a week of each other. Battlefront I overshadowed the critically-acclaimed Titanfall 2 in 2016. The publisher has received flak from the gaming community. From a bungled launch of Mass Effect: Andromeda to a loot box revolt for Star Wars Battlefront II. 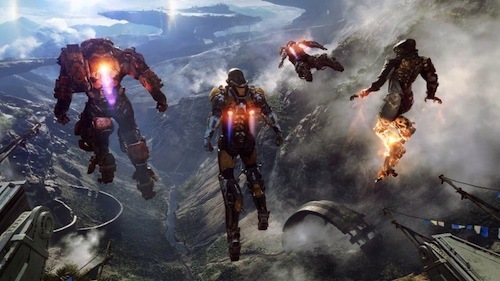 BioWare is doubling down on the development of Anthem whilst speculation surrounds a takeover of EA. Microsoft and Disney have been cited as potential buyers. Frankly, I assumed Anthem wouldn't be released until late 2019 or 2020. That said, Anthem is being overseen by Casey Hudson who directed the original Mass Effect trilogy. So, I'm hopeful it'll bring character-driven storytelling into the looter shooter space. Marvel Studios has released the first trailer for Ant-Man and the Wasp. The latest comic caper sees Ant-Man (Paul Rudd) and the Wasp (Evangeline Lilly) join forces against the mysterious Ghost (Hannah John-Kamen). Ant-Man and the Wasp is in UK cinemas 3rd August. Star Wars fans can book tickets for an upcoming concert tour featuring Hollywood composer John Williams' Oscar-winning music from A New Hope. The Novello Orchestra, conducted by David Mahoney, will play live as director George Lucas' space opera unfolds on screen. 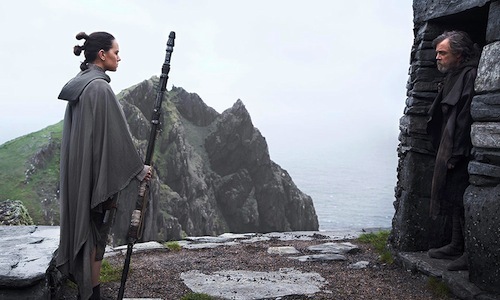 Grant Watmuff, Licensing & Strategic Partnerships Manager at Disney Music Group, said: “We’re delighted that Star Wars fans will have the opportunity to experience the music of the movie performed live to picture in the UK for the first time. The concert tour will start at the Royal Albert Hall with the London Symphony Orchestra (LSO), which is synonymous with Star Wars. 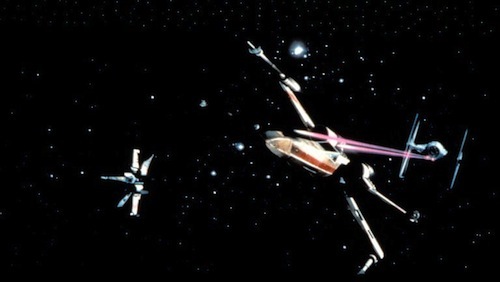 Lucy Noble, Artistic Director at the Royal Albert Hall, said: “During our nine years of pioneering the Films in Concert concept, there’s one movie that’s been requested more than any other, and that’s Star Wars: A New Hope. 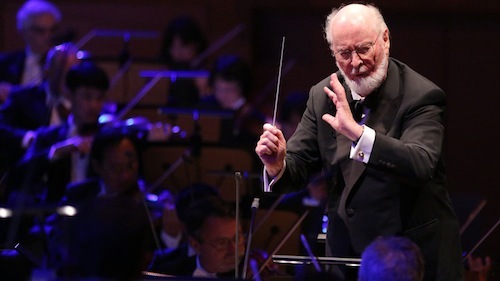 Kathryn McDowell, Managing Director of the London Symphony Orchestra, said: “The London Symphony Orchestra has a deep and long-lasting relationship with John Williams and particularly his music for the Star Wars films, having recorded the soundtracks for the first six episodes. Ticket are priced from £32.50 to £75 and go on presale 31st January and general sale 2nd February. 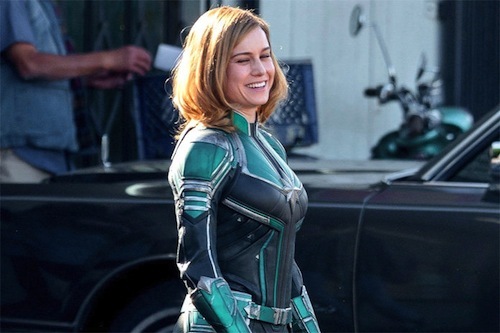 The first on-set photos of Oscar winner Brie Larson as Captain Marvel have emerged online. Larson's solo movie will feature co-star Samuel L. Jackson as a younger Nick Fury in the 1990s. Then her character will join the Avengers. Captain Marvel will be released on 8th March 2019, followed by Avengers 4 hitting cinemas on 3rd May 2019. Star Trek: Discovery is back streaming on CBS All Access and Netflix outside the US. This post has spoilers. So, please don't read on if you've yet to catch up with latest episodes or begin watching the spin-off series. The midseason premiere revealed that the crew of the USS Discovery are marooned in the infamous Mirror Universe. That dark realm of goatees and fascism. 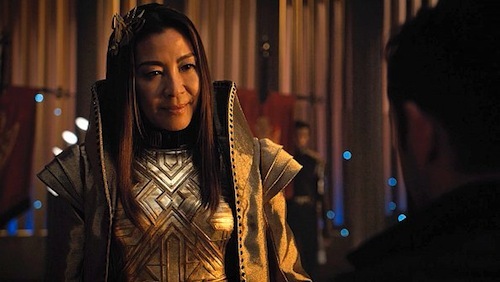 The Federation doesn't exist and in its place, a reign of terror under the Terran Empire lead by Emperor Georgiou (Michelle Yeoh). Captain Lorca (Jason Isaacs) is the big bad. This is a narrative twist I was hoping for all along and there are clues peppered throughout the first half of season one. 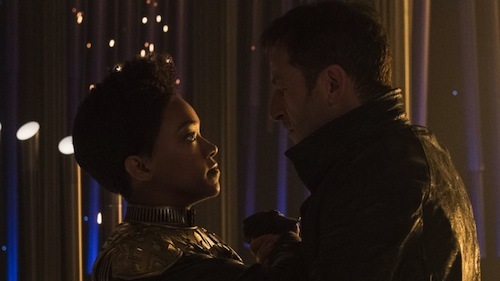 Lorca's masterplan was to manipulate Starfleet renegade Michael Burnham (Sonequa Martin-Green) and crew to return him to the Mirror Universe and, presumably, become Emperor. Lieutenant Paul Stamets (Anthony Rapp) was in a coma in the wake of unwittingly aiding Lorca to spore jump into an alternate universe. 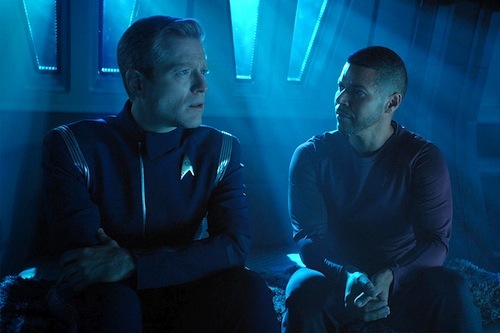 His mirror self is a fascinating foe and may or may not be aboard the USS Discovery now that Stamets has awakened after learning his partner, Doctor Culber (Wilson Cruz), was killed by tortured Klingon captive, Lieutenant Ash Tyler (Shazad Latif). What of the ISS Discovery in the Prime Universe? Well, that remains a story untold for now. However, it would be a surprise if the showrunners don't tap that rich vein either this season or next. Much like in Star Wars fandom there's a civil war going on regarding the merits of Discovery and whether or not you're a true Star Trek fan if you like/loathe the series. There are enough spin-offs for everyone to play nicely. Live long and prosper. Hasbro's ambition for its cinematic universe is being scaled back. A few years ago Paramount announced an extension to the Transformers universe with the addition of G.I. 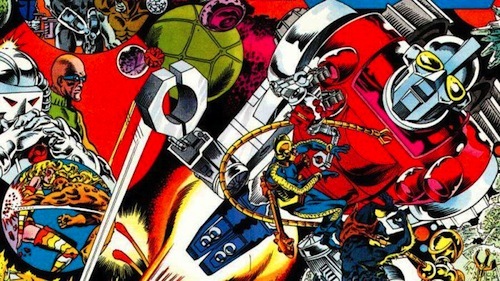 Joe, M.A.S.K., Visionaries, ROM: Spaceknight and the Micronauts. At the time, fans (myself included) of the vintage toy lines thought ROM would appear in Transformers: The Last Knight. “Those are probably not likely to see the light of day, unless they’re moving on separate from us. It’s a funny thing. We spent three weeks in a room with a lot of talented writers. We broke eleven or so movies and, I don’t know. It just kind of went into the vortex. There’s been some leadership changes at Paramount, so it’s hard to say. Nobody’s contacted us about those. 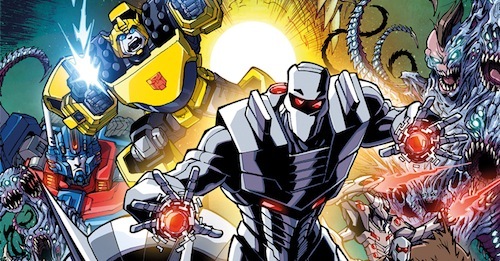 The Micronauts will appear in a new animated series to be streamed in 2019 and Transformers spin-off Bumblebee is in cinemas this December. Star Wars Rebels season four continues on Disney XD from 19th February culminating in a 90-minute series finale with the Emperor this March. 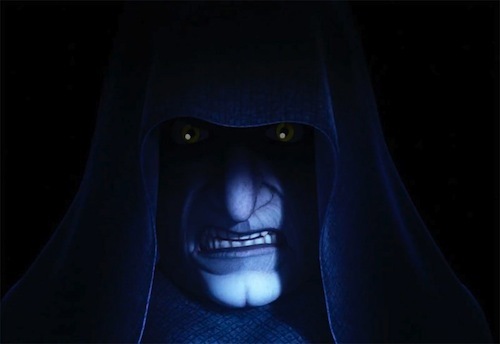 Ian McDiarmid is reprising his iconic role as the Emperor, which he started in Return of the Jedi and continued in the Star Wars prequel trilogy. Showrunner Dave Filoni is pulling out all the stops and the fate of the Ghost's crew is seemingly bleak. DisneyLife, the company's excellent streaming service currently only available in the UK and Ireland, was launched on selected Samsung televisions before Christmas. This gave me an opportunity to catch up with exclusive Star War and Marvel content on the Disney Channel. Alas, Star Wars Rebels season four has yet to be made available. Star Wars: The Last Jedi was released in cinemas last December. 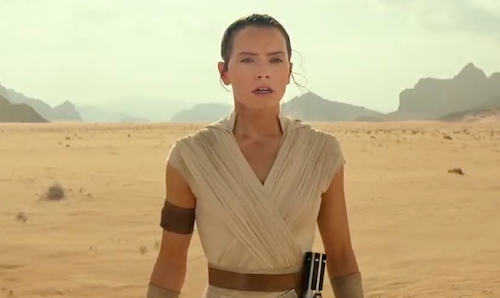 As the dust settles around director Rian Johnson’s divisive sequel, Phil Edwards, founder of Live for Films, speculates on the future direction of the Star Wars franchise. Still unsure about Star Wars: The Last Jedi? It certainly split the audience. 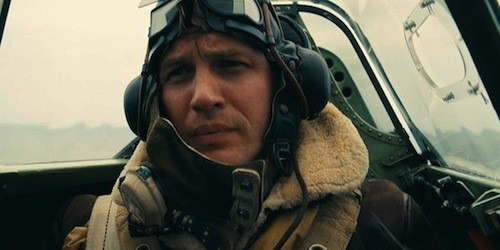 I have seen people saying it is the best one since The Empire Strikes Back, while others feel it is an abomination. I fall somewhere in the middle - I was disappointed, mainly due to some lazy storytelling that could have been fixed with a couple more drafts (my full review is here). We have got Solo: A Star Wars Story this summer, which is going up against Avengers: Infinity War. A win-win situation for Disney, but what about Star Wars: Episode IX? All we know is that JJ Abrams will be writing and directing it. During the coverage of The Last Jedi, we learnt that Rian Johnson was given a clean slate, meaning there is no set plan in place for the last part of the new trilogy. A surprising development to be sure. That does mean it can go anywhere. Will JJ Abrams simply do a Rian Johnson and ditch plot points set up in The Last Jedi, or will he go somewhere new? 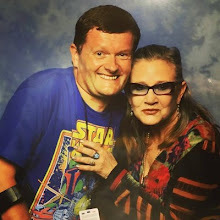 While we wait for any news, my good friend Mike Spring and I put together our thoughts on what could happen in Episode IX for an episode of our After The Ending podcast. We are going to have to wait until the end of 2019 to find out if we got anywhere near what actually happens, but it was good fun to think about it. You can listen to it below or head on over to iTunes. Whilst Star Wars fans (myself included) anxiously await a trailer. Lucasfilm has published an official synopsis for Solo: A Star Wars Story. Finally, fans will see how Han and Chewie first met. This isn't the first time the story has been told, it appeared in Dark Horse Comics' Star Wars: Chewbacca miniseries in 2000, but this is official canon. 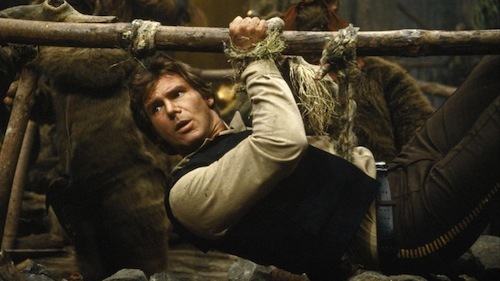 I recall excited discussions with college friends postulating how Han was an imperial officer in the Empire and saving Chewie changed his life forever. Imagine if there's a cameo from Darth Vader? 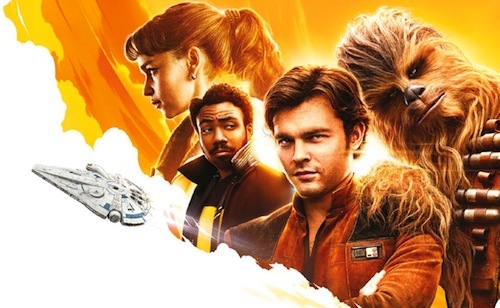 Solo: A Star Wars Story, directed by Ron Howard, is in cinemas 25th May. Black Lightning premieres on The CW tonight. Whilst the prospect of another superhero show may seem daunting in an era of so-called peak television. This new series stands alone from DCTV's Arrow, The Flash, DC's Legends of Tomorrow and Supergirl. That said, in the wake of the incredible crossover Crisis on Earth-X, I'm hoping Black Lightning will make a cameo in the future. Early reactions to Black Lightning are positive and Netflix starts streaming the series from 23rd January in the UK, which is my birthday. 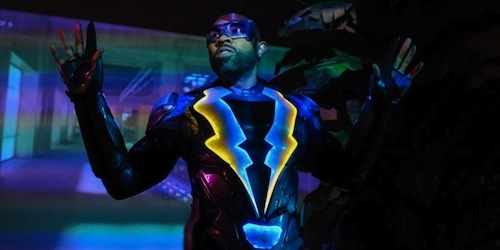 Black Lightning, a wholehearted and energetic live-action revival of the character premiering Tuesday night on CW, is refreshingly and intentionally focused on Jefferson's attempt to balance the conflict among his truest selves – as a black father in his late 40s, a husband, a revered high-school principal and, ultimately, a superhero who comes out of self-imposed exile to fight violence in his community. The pleasant surprise, then, is that Black Lightning, based on yet another DC Comics property, is smart and relevant and full of an attitude that's all its own. It takes its characters and their world seriously, but thus far doesn't take itself too seriously. And, best of all, it's ostensibly entirely separate from Legends of Tomorrow, The Flash, Arrow and Supergirl, so the risk of time-consuming crossovers or key plot points delivered on a different show is currently nil. Luke Cage and Marvel's Runaways have diversified the comics-TV lineup. (Black Panther arrives in theaters in February.) But this show's race-forward sensibility and its older protagonist, conflicted about getting back into the game, give Black Lightning its spark. Looking forward to Black Lightning? Let me know in the comments below. 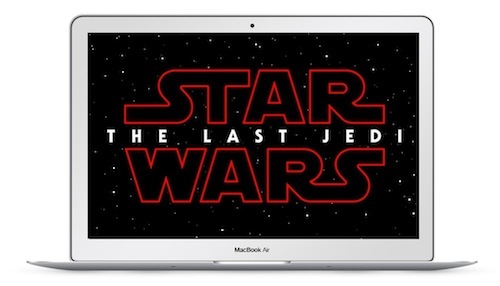 Director Rian Johnson wrote the script for Star Wars: The Last Jedi on an air-gapped Apple MacBook Air. Johnson revealed this fascinating insight in an interview with the WSJ. Ahead of the launch of The Last Jedi, Apple Stores ran exclusive video editing workshops to celebrate Force Friday II. With a 25th May release now only months away, director Ron Howard is reportedly reshooting more of Solo: A Star Wars Story. Reshoots are part and parcel of filmmaking. However, given the second Star Wars spin-off's troubled production, seemingly more so than Rogue One, it adds further intrigue and uncertainty within the fan community. It's surprising Lucasfilm president Kathleen Kennedy didn't move Solo to December. Thereby giving Howard more time, and for the film not to clash with Avengers: Infinity War. The latter marking the 10th anniversary of the release of Iron Man and heralding the Marvel Cinematic Universe (MCU). A trailer for Solo: A Star Wars Story is expected any day. 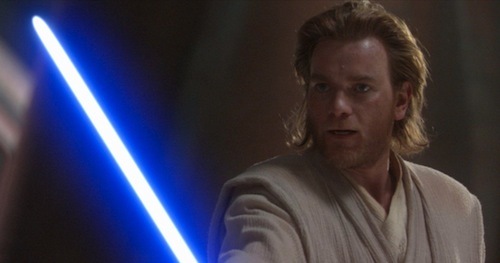 Ewan McGregor played Obi-Wan Kenobi in the Star Wars prequel trilogy and reprised the role for The Force Awakens. The demand for an Obi-Wan spin-off movie hasn't abated and fans (myself included) are hoping McGregor gets a chance to play the lead role now that Lucasfilm is owned by Disney. "There’s a lot of talk, and I’d be happy to play him again, but I don’t know anything more than you do," McGregor told reporters backstage at the Golden Globes, after he won a best actor award for his role in FX's Fargo. "I saw the new one over Christmas and I thought it was really, really beautiful."